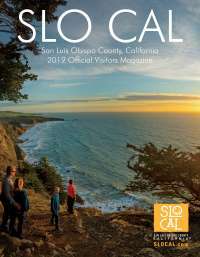 Halfway between Los Angeles and San Francisco lies San Luis Obispo County. Away from the city lights, you&apos;ll find wide open spaces to snuggle up under the stars and watch the night sky dance before your eyes. 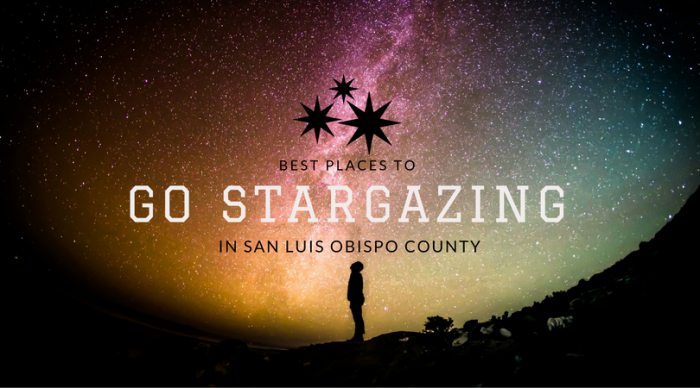 Check out some of our favorite places to go stargazing in SLO County. 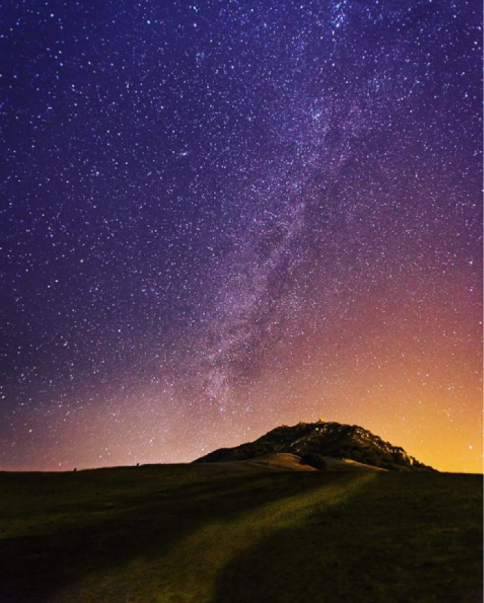 Hike up the Avila Ridge Trail and sit atop the hill to view stars as they dance over the Pacific Ocean. Bring a blanket, some hot cocoa and snuggle up because this hilltop can get chilly. Just south of Atascadero lies a hidden gem of San Luis Obispo County. Santa Margarita is a quaint little town with one road passing through it but just beyond the main town area, you’ll find rolling hills, oak trees and fields just beckoning for you to lie down and count the constellations. Venture out a bit further and you’ll be on your way to Pozo. Hike up the Rinconada Trail and not only will you be atop the Santa Lucia Wilderness but you’ll have wide open views of the night sky. 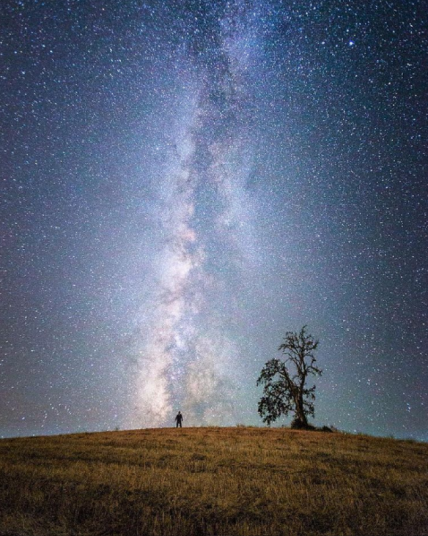 If you thought a starry night over the Pacific Ocean was breathtaking, take it to new levels in wine country. 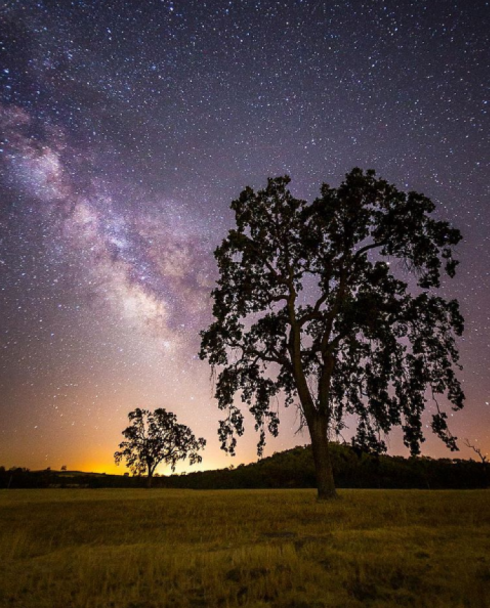 Glistening stars twinkle above rolling acres of vineyards in Paso Robles and you don’t have to go far from downtown to find them. 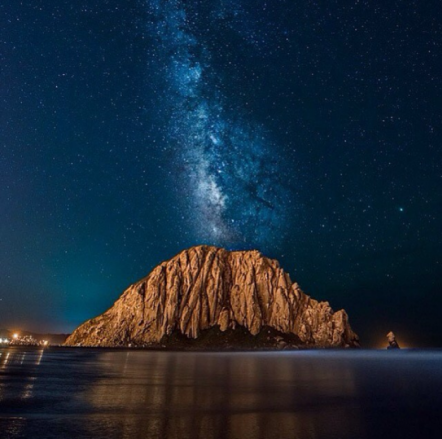 When it’s not foggy in Morro Bay, the night sky puts on a show like you’ve never seen before. 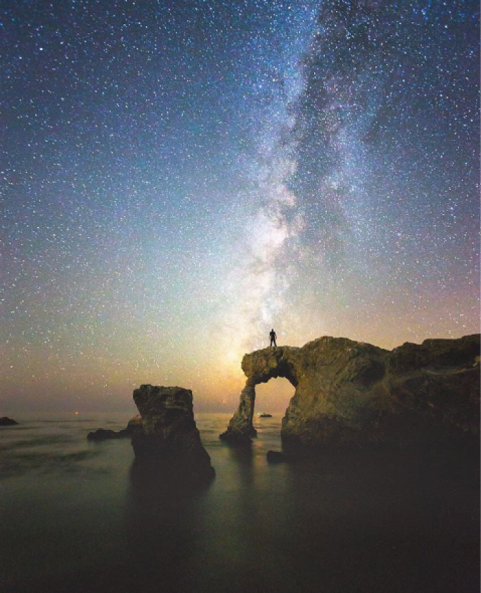 The Milky Way loves being the backdrop for Morro Rock and photographer and stargazers alike love when they put on a show of epic proportions. 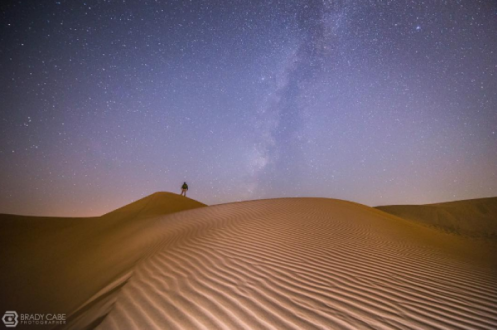 Spend the night on the dunes and count the stars by the glow of a campfire. With huge sand dunes for you to perch on, you’re sure to find a perfect spot that’ll allow your inner Galileo to come out. Drive the backroads of San Luis Obispo County and you’ll find wide open spaces. Templeton is no exception and it’s a favorite of local astro-photographers. 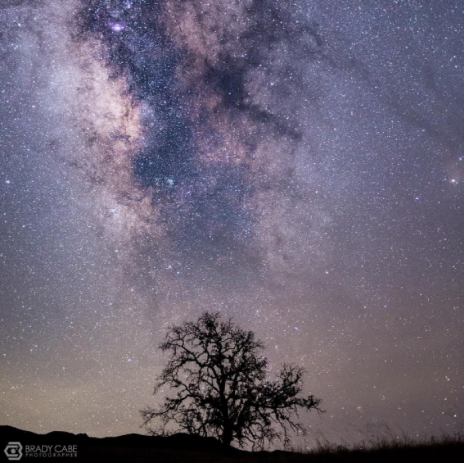 Nothing compliments the Nine Sisters of San Luis Obispo more than a twinkling blanket of stars above. Drive out on Prefumo Canyon Road or find yourself a park bench nearly anywhere in town and settle in for the show.